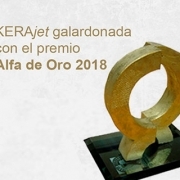 The Spanish Society of Ceramics and Glass has awarded KERAjet with the “Alfa de Oro” for the development of the first exclusive head for ceramics, capable of using micrometer-sized inks. The award delivery has been at the Cevisama Opening Day. 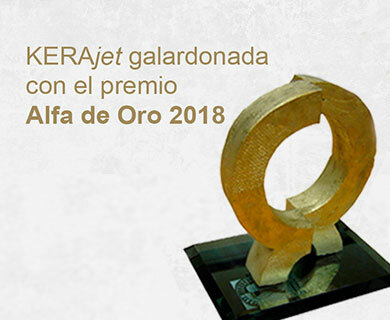 The awards are in their 42nd edition and recognize the most innovative processes and products.